Negotiation is about more than giving and taking. It’s the skill of crafting an agreement to everyone’s satisfaction. It can make the difference between an accepted offer or a deal completely falling through. Read on to learn how to prepare for some common tactics buyers use when negotiating with sellers. 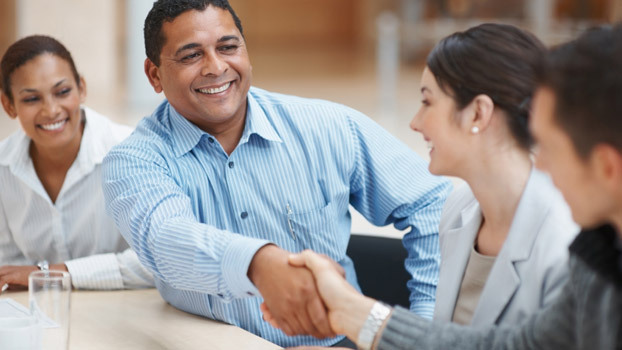 There are steps you can take to help address some common buyer negotiating tactics. Much of it boils down to being prepared. • Get your home in first class condition so the buyer cannot bring-up any significant objections. A home warranty goes a long way to overcoming these objections. It brings peace of mind and is a great marketing tool for you. • Learn (if possible) the buyer’s motivations and pressures. This will help you know how to really appeal to them while keeping your top priorities in mind. On the flip side, don’t disclose your own motivations or pressures. • Have your facts at hand about any recent, local sales to support your asking price. We recommend before you start the home selling process that you obtain an appraisal of your home. In a strong or rising market, you can price your home slightly above the appraisal. In a weak market, peg your asking price at the appraisal and prepare all the items you feel that the appraiser missed. If the buyer does not see the value, you can use the appraisal to help support your position on the price when you enter negotiations. This helps you be ready to handle the typical “buyer’s tactics” discussed below. You know your home better than any buyer’s agent out there. Use this to your advantage. • Be prepared to walk away. When selling your home you must be prepared to turn down unacceptable offers or situations. You always have the option to do a counteroffer as well which is explored in more detail below. • Monitor the latest mortgage rates and lending news. Why? Because the more you understand the lending conditions facing your buyer, the better you will understand what factors your buyer can change, and what factors you both must work around. You can also prepare by reviewing this guide to negotiating home prices. Here are some of the buyers’ tactics, that you should be prepared for. These may drive you crazy when you are trying to offer a fair home price. Having a sense of humor about things, smiling and speaking slowly will go a long way in the negotiating process. These are the non-stop negotiators. Sometimes this is referred to as “nickel-diming”. The best way to avoid nibblers is to document all items and details thoroughly that you previously agreed upon. Make sure that everything to be included in the sale is clearly listed. A deal is a deal. If they want to change things, it creates a counteroffer, which you have no obligation to accept and they can lose their purchase. You should inform buyers that their counteroffer must be in writing and that you may or may not accept it. Often this will stop the nibbling. Other tactics you can use are SILENCE and The WINCE discussed below. This is a similar situation to the “higher authority” tactic. In order for this tactic to work, the good/bad team must be in different places so that you don’t have access to the bad guy who has all the objections. The resolution of this situation is to set an appointment, which is convenient for all the the all parties to attend. If a joint consensus is necessary, don’t negotiate unless everyone is present. This is normally a sudden statement blurted out by a buyer – often a “trial close” designed to catch you somewhat by surprise and get your confirmation on a deal favorable to the buyer. The best response to a “wouldjatake” is: “I’ll look at any offer that you present me in writing.” This response diffuses the situation immediately and allows you time to consider things. Trial balloons are questions designed to assess your position without giving any clues about your counterpart’s position. Essentially, these questions allow them to gain information without making a commitment. When you’re on the receiving end of a trial balloon question, you may feel compelled to answer it thoroughly. Resist and counter with another question. For example, if someone asks, “Would you consider financing the house yourself?” respond, “Well, if I did, what would your offer be?” The expected response should be a higher offer from the buyer as they’re not as strong as a buyer who is able to qualify for conventional financing terms or pay cash. Below are some thoughts to keep in mind that may assist you in smoothing the home sale negotiation process. By doing this you immediately remove a significant point of contention. Any lower counteroffer thereafter must be reasonable and fair. You may be able to strengthen your own positioning by knowing and respecting items of particular importance to the buyer. If you try to win every point, you could sour the deal. Both parties should walk away “relatively” satisfied with the final terms. If you cannot agree on minor issues, put them aside and complete the main agreement. With the main agreement completed, you’ll find minor issues are far easier to settle. As a seller, you have options when it comes to accepting or countering any offers that come in. You can decline a full price offer. Sellers can decline any offer, including full or above asking price offers. Some common reasons you may do this is if you receive offers at a higher price but less desirable (i.e. FHA instead of conventional). You can counter any and all offers. You can even make a counter offer for higher than your original asking price. This is most common in a multiple bid situation when one (full price) offer is better than the other. It’s important to note that all counters (which should always be in writing) are a decline/rejection with a new offer. This means that the original offer is void and the party making that offer/counter offer is no longer bound to the terms of their offer. You can withdraw a counteroffer. In most cases, the seller can withdraw a counter offer up until the time of “delivery” of the buyer’s accepted offer. The delivery is a key piece as the buyer’s agent must deliver the buyer signed offer to you to be binding. If this hasn’t happened yet, you may be able to withdraw. Below are several strategies you can use when negotiating your home’s price. When used strategically, silence is a powerful negotiating tactic for you to bring into play. If you’ve stated your price and you’re waiting for a response, just sit back and wait. Most people feel uncomfortable when conversation ceases. The buyer (and their agent) will be expecting you to start equivocating on your price. Don’t say a word! Almost without fail, your counterparts will start whittling away their position when you use this tactic. Buyers will have been primed to expect you to back off your price or qualify it. You’ll see their discomfort in their body language when they perceive by your silence that you mean business. Suppose the buyer also understands the importance of silence. After several long moments, simply, restate your price. Don’t make suggestions or offer concessions. Just repeat your terms. This maneuver forces the other person to respond, and more often than not, they respond with a concession. The wince is a way to convey via body language your negative reaction to something the buyer or their agent is suggesting without resorting to argument or other negative verbal responses. It alerts your counterparts to the fact that you know your limits and they may be approaching them. If you are on the receiving end of the wince, you must counter with silence. To do anything else will weaken your position. Preparation and practice are important. Take time to rehearse these methods so that you are comfortable using them and can recognize the precise moments when you should use them. You will be pleasantly surprised when you watch the results. The better you prepare and practice, the more satisfied you’ll be with the entire transaction. It’s always best to seek the advice of an attorney when contemplating complex legal matters such as those mentioned throughout this article. For more guidance, check out this article on selling your home without a real estate agent. How Low Will You Go on Your Home Sale Price? How Much Time Do I Have to Respond to a Buyer’s Offer?